Abandoned surplus. Please see photos. Seller has the right to reject all bids. 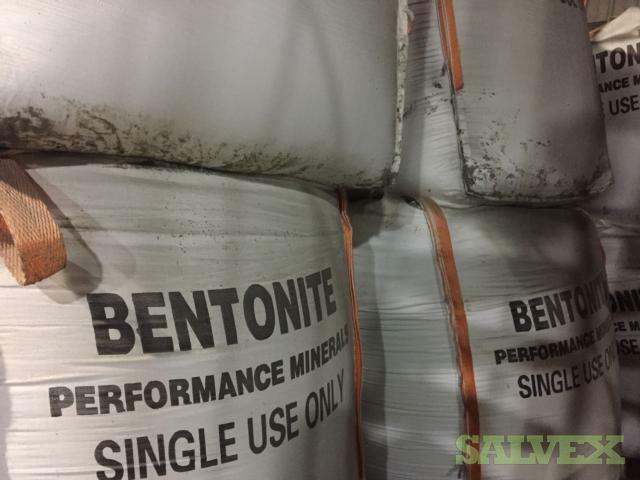 This lot of Sodium Bentonite Clay ­­­­­is available for sale as abandoned surplus, and is being sold in an asset liquidation sale for the warehouse to clear out space at their facility..
Bentonite BARA-KADE® GRANULAR is a granular Wyoming high quality sodium bentonite. The product is low-dust, for soil and geo-structure sealing, and hydraulic barrier applications. • Sealant for ponds, lake, reservoirs, and other stationary water. • Soil conditioning and modification. • Hydraulic barrier applications for landfill liners & caps and sewer lagoon liners. • Untreated high purity sodium based bentonite. It has been in storage for about a year. They have been stored inside and the bags are suitable for handling.